I can’t help rummaging in charity shops lately. 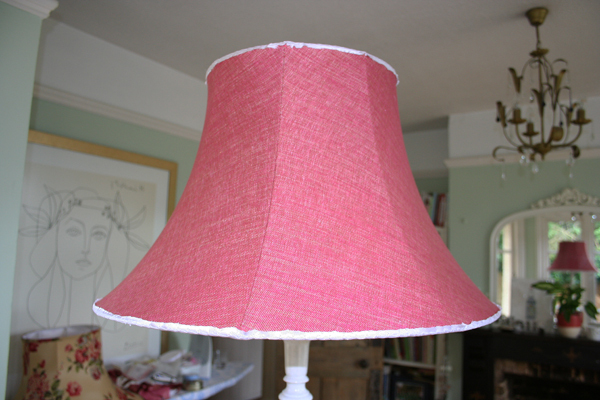 You never know where you might find another lampshade that’s just waiting to be stripped down and restored. I’ve also been collecting old lampshade books from the 1970s and 1980s, which are great for tips and instructions, not to mention the photos and old library cards tucked inside, I love them! Looks more like a shower cap to me! I found this one yesterday. It’s a Tiffany lampshade, probably from the 1980s, judging by the attractive (!) cover and the St Michael’s label. As I’ve wanted to have a go at making one for a while I couldn’t resist. 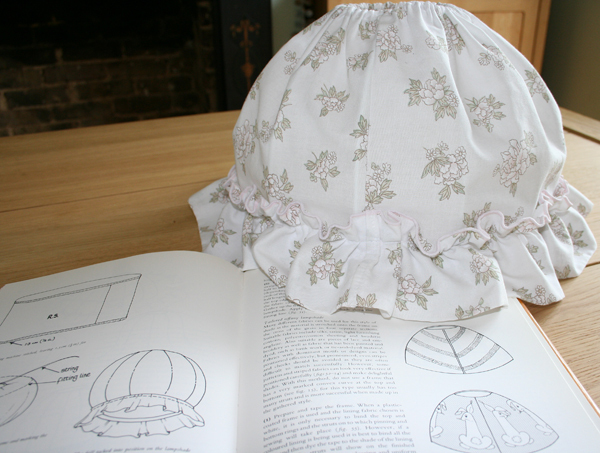 Apparently it’s pretty straight forward to make a gathered Tiffany lampshade cover that can be removed for washing. I don’t think I have need for one in my house but I do think, with the right fabric, it would look nice in a little girl’s bedroom, perhaps… Anyway, here’s the before shot, the book says “they are very versatile and add a touch of style to bathrooms and bedrooms” – let’s wait and see shall we? !